This is a very special project in the heart of London which transformed a dark dismal space into an attractive playground for the Chelsea Children's Hospital School. The playground provides for both active and passive recreation and there is an emphasis on colour, warmth and the seaside. 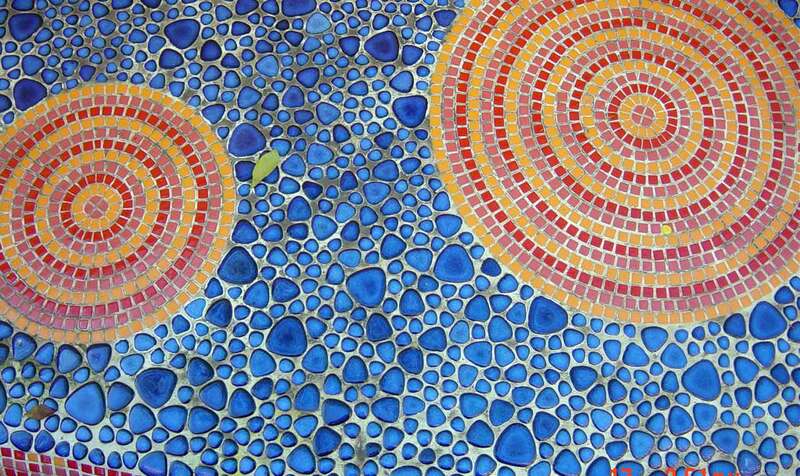 The Gaudi influence comes from the school's link with a hospital school in Barcelona. 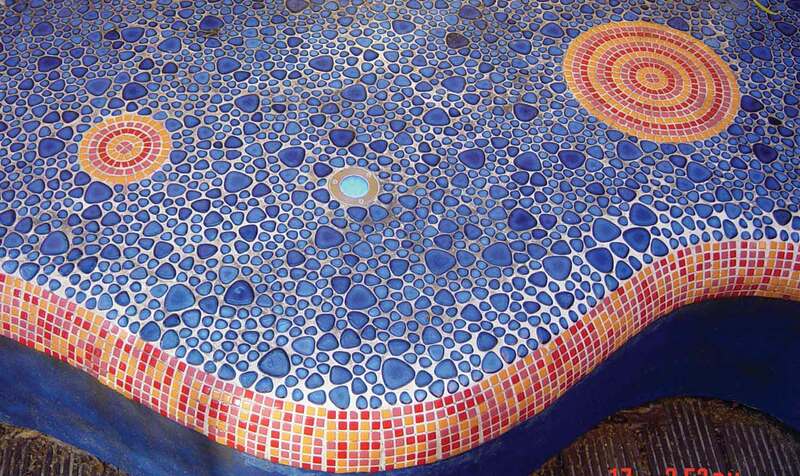 A gently curving seat with inlaid orange and blue mosaic and lights provides a stunning feature. 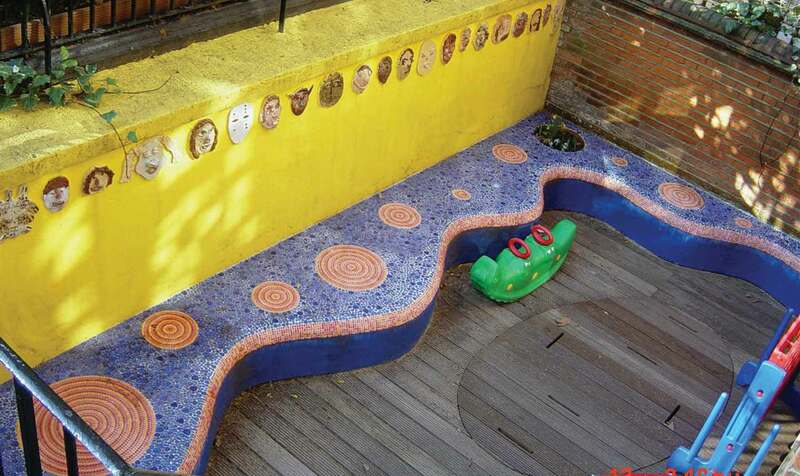 Tarmac and concrete were replaced with decking, a concealed sandpit and a coloured play surface. Drab concrete walls have been rendered, inlaid with tiles and painted with bright colours. Thick rope has been carefully coiled around fire escape support posts to reduce accidents and reinforce the seaside theme. The funds for the project were provided by the Royal Borough of Kensington and Chelsea, The Wooden Spoon Society and the London Education Arts project. Health and Safety was a key issue on this site. Access was very difficult and materials were carried in by hand. 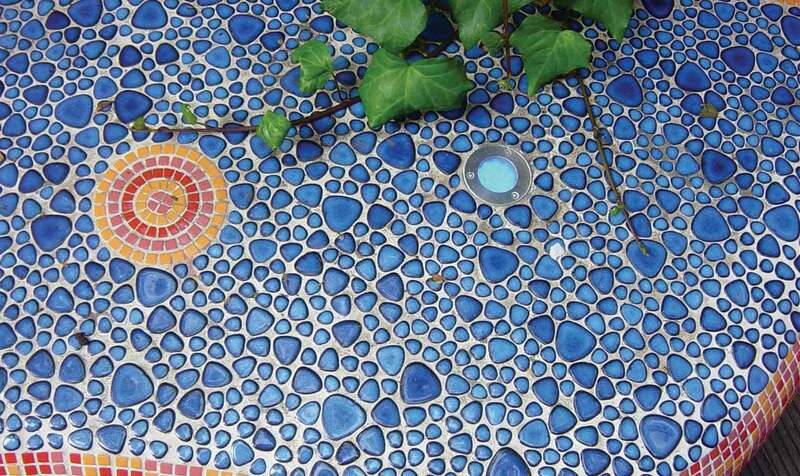 In 2003 the project received an Award from the Royal Borough of Kensington and Chelsea for Environmental Improvements.